It’s been a very cool spring, and though some parts of the garden have been slow because of that, our rhubarb plants are becoming gigantic. With stalks an inch thick or more and leaves like elephant ears, we are pretty happy with them. 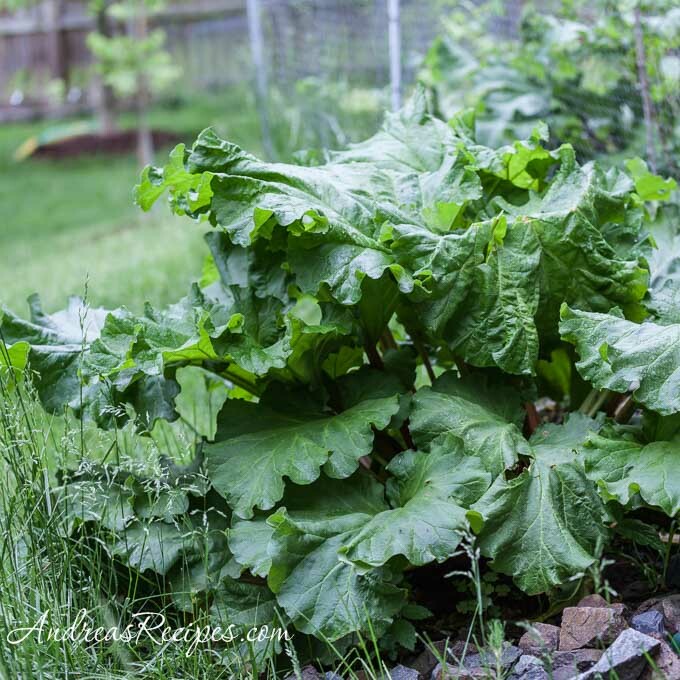 As soon as the plants starting really shooting up and out in April, Michael began talking rhubarb nonstop, and I promised that there would be lots of rhubarb on the menu. 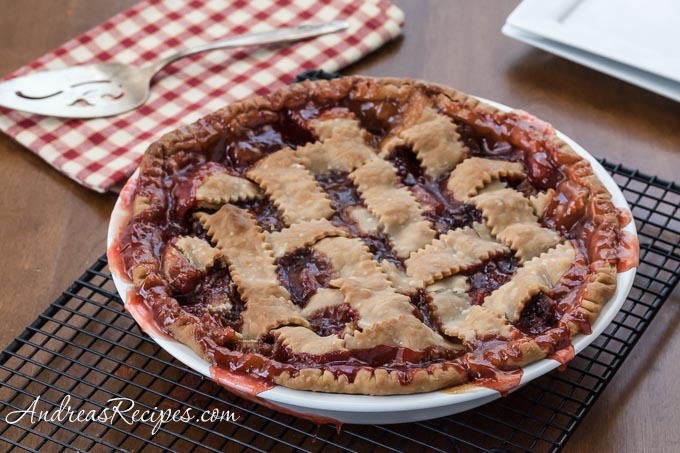 For this strawberry rhubarb pie, I pulled out one of my favorite all-time pie cookbooks, Southern Pies by Nancie McDermott. I adore all of Nancie’s books, I really do, especially Southern Pies and Southern Cakes. And yes, my love of Southern sweets is in my genes, so thank you Nancie for indulging me. My guys love this pie. Make the pie dough a day ahead and let it chill thoroughly. A lattice top is not hard to make at all, you just roll out the top crust and use a pastry wheel to cut strips about 1/2 to 3/4-inch wide. When you weave the top, you can decide how much space you want between the strips. Save any leftover dough for another pie. 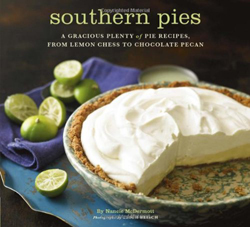 Adapted from Southern Pies: A Gracious Plenty of Pie Recipes, from Lemon Chess to Chocolate Pecan, by Nancie McDermott. Preheat the oven to 425° F/220° C. Line the pie pan with the bottom crust, leaving about 1-inch overhang. Keep the top crust refrigerated until ready to cut. In the large mixing bowl, whisk together the sugar, flour, cinnamon, and salt. 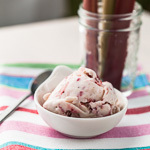 Sprinkle vanilla extract over the strawberries, and toss the rhubarb and strawberries in the sugar and flour mixture. Roll out the top crust and cut into strips 1/2 to 3/-inch wide. Weave the strips, laying the ends across the overhanging bottom crust. Fold up the bottom crust over the strips and tuck them in, using a drop of water to seal as needed. Crimp the edges. Place the pie on a baking sheet lined with foil. Bake on the bottom rack of the preheated oven for 15 minutes, then reduce to the temperature to 350° F/175° C. Bake until the filling is bubbly and the pastry golden brown, about 40 to 50 minutes more. Remove from the oven and cool on a wire rack for at least 15 minutes. Serve warm or at room temperature. Make Ahead: Make the pie dough the day before and keep it cold in the refrigerator. 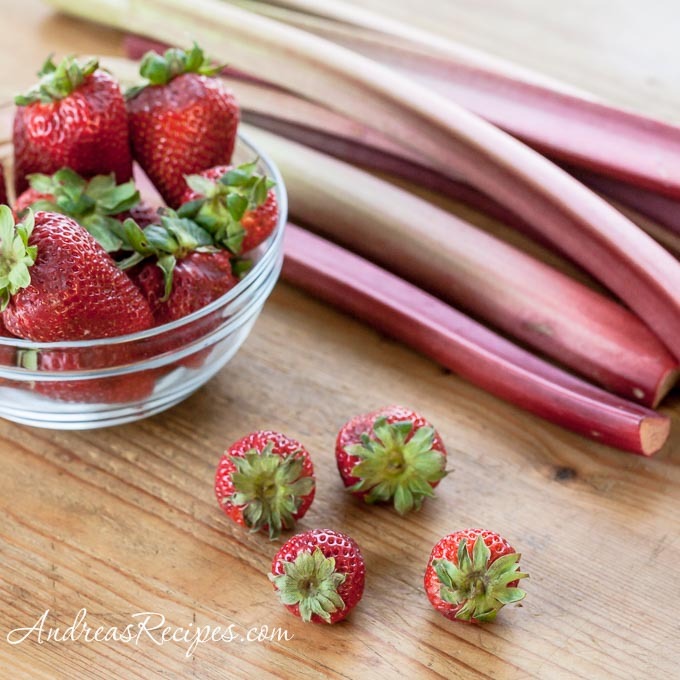 I have both, strawberries and rhubarb. I bought it today on a market. And now I know how to use it. it’s true–nothing is better. i love it with vanilla ice cream! Yes, vanilla ice cream is perfect with it! Good thing we still have plenty of rhubarb. Andrea this reminds me so much of a pie my grandmother use to make – she too grew her own rhubarb. 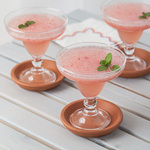 It was slightly sweet and tart – loved it with a scoop of vanilla ice cream. I am hoping to make this once our schedule dies down. Oh, and I had a chance to meet Nancie – she is wonderful! Denise, it’s so good to hear from you! 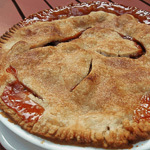 I just made rhubarb pie again today, and I think the guys finished it off after dinner. I met Nancie at IFBC a few years ago and nearly fell over myself in delight.